That is, both groups offer a higher security level than the Diffie-Hellman groups 14 (103 bits) or 5 (89 bits). 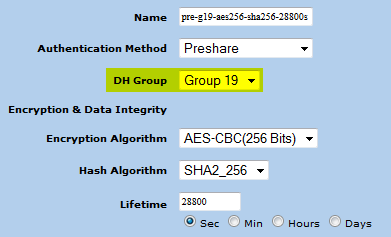 When using group 20 in IPsec phase 2 (PFS) with AES-256, the security level of the whole VPN connection is really 192 bit! auto key. tunnel if binding node, tunnel mode, policy id in:<-1> out:<-1> vpngrp:<-1>. sa_list_nxt:<-1>. 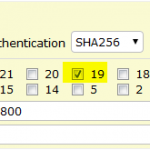 tunnel id 14, peer id 7, NSRP Local. site-to-site. Local interface is ethernet0/6 <172.16.1.1>. 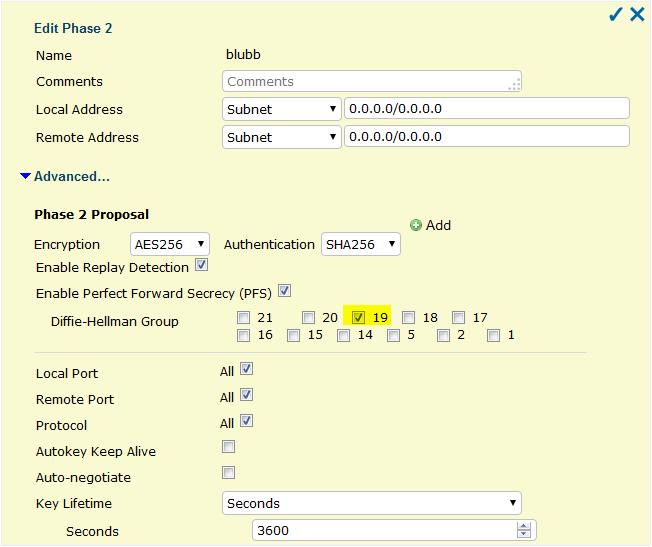 However, I have not found a command on the FortiGate to display the Diffie-Hellman group that is used for a certain VPN. Does anyone know?!? Featured image “A Voice At The End Of The Line” by Jeremy Brooks is licensed under CC BY-NC 2.0. This Information can be found in the Output of the following command. The Information is in the the proposal Information when the tunnel comes up. 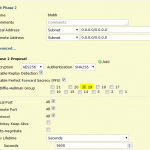 So you Need to check this Information in the RFCs.